I have some super-exciting news to share with you: I’ll be starting a Masters in February! I’m so excited!!! This also means that I’ll be moving out (finally! ), which, as much as I love my mum, I cannot wait to do, because I really miss my independence… I was actually given an offer back in October, but I had to sort out a supervisor, and have modules approved before I could pay my fees, as well as various other administrative faff, and I wanted everything to be finalised before I announced it, just in case I jinxed it and it all fell through or something (very scientific approach that, ahem). 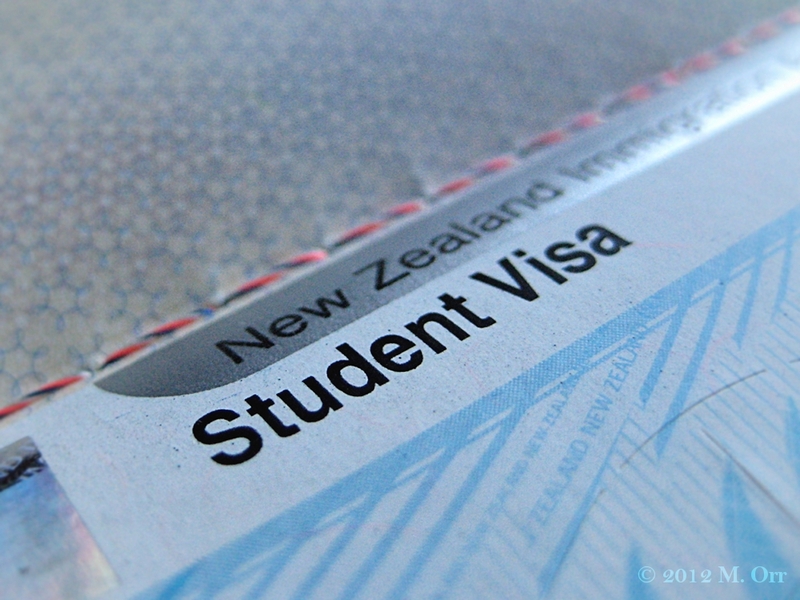 But my visa arrived on Friday, which means that it is actually happening and that I can finally announce it! Wait! Visa? What? Ya, that’s right, I had to apply for a visa (which is why it took so long to be finalised) because I’m not only moving out, but moving country. Moving hemisphere. Moving to New Zealand!!! I told you it was super-exciting news! For those of you who are interested, I’ll be doing a MSc in Marine Science until December. It’s all research-based, but I don’t know exactly what my research topic will be until I’ve met and discussed it properly with my supervisor (he seems really relaxed about it, which is good… I think! ), but it should definitely be something to do with elasmobranchs (sharks and rays), which I’m obviously super excited about! Wherever you are in the world, enjoy the rest of your day! PS – Apologies for the over-use of the word excited and the over-abundance of exclamation marks – I have a lot of enthusiasm to share! Wow that is very exciting and definitely deserves lots of exclamation marks!!!!!!! I’d love it if you keep us abreast of your research as well as the food and the living out there. Hope your move goes smoothly and you have a wonderful time out there. Thanks Lou!! Of course I will blog about my research (when I find out exactly what I’ll be doing…), and definitely the food and everything else that I discover whilst over there – I’m sure that I’ll have an excellent time and that there will be plenty to visit and taste…! What a huge bit of news, so exciting. Congrats and good luck! Thank you Kavey, I’m really excited! I reckon you’ve got every right to use the word excited as much as you want. Hope everything in the move goes well and best of luck with the packing. Thanks Phil, I think I’ll be needing all the luck I can get when it comes to packing!! What amazing news! Well done Mel. Make sure you get plenty of foodie layover adventures in Singapore over the coming years – there’s much much more to the place than Changi airport – honest! Thank you!! Thanks to your blog, Singapore is definitely on the list of places that I’d like to have an extended stopover at, just to wander around and discover the food – hopefully I can do that at some point! I’m flying via HK on my way down, though I won’t have time to venture out of the airport unfortunately. Amazing! Can I just point out how much I love the photo of Toothy with the guide book. Thanks! I’m really excited about New Zealand – it definitely looks amazing! 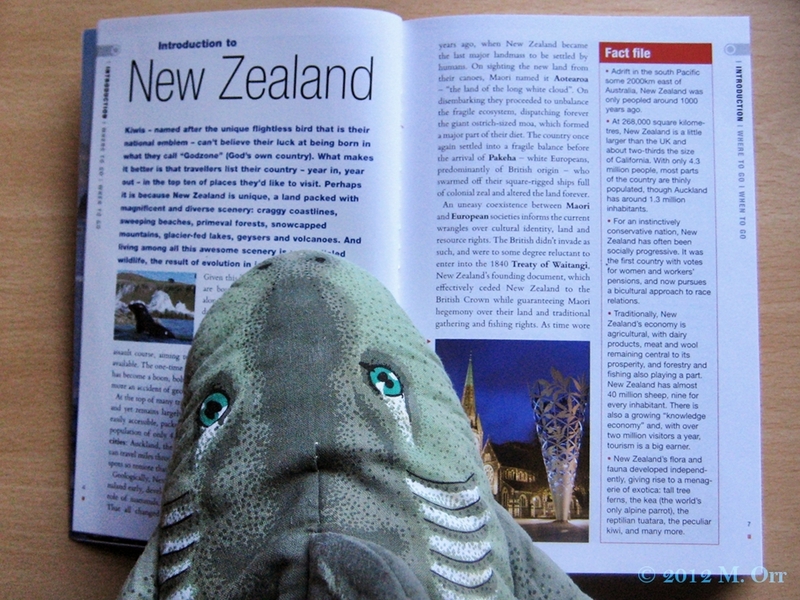 No wonder you are excited, sounds like a great thing to be studying and I so love New Zealand (based on only a 6 month stay a long time ago). Where abouts are you going? Good luck and I’m sure you’ll have fun. I’ll be based either in Auckland or in a little town called Leigh, 90 mins North of Auckland. I’m really excited – I haven’t heard a single person say anything negative about NZ, so I’m sure I’ll have a great time!! Where were you when you were there?